As teens, they faced the same temptations. One made it, one didn’t. Why? This is the story of two childhoods that brought two grown men to opposite sides of a table in Mountain View, one after a life of pain and one of privilege. The meeting was a little awkward. A fine art painter was recruited to learn about a recovering addict, now a car salesman, and depict how childhood events had shaped his life. "It's certainly not something that I'm used to," said painter David Pettibone. "I was absolutely nervous going in. I wasn't quite sure of the questions I was going to ask." Eric Garcia sat up straight and delivered his life story without much prompting. "I felt a little tiny bit awkward, but sometimes we have to go out of our comfort zone, and talking about it disarms it," he said. "It's sort of a chance to be at peace." Painter and teacher Steve Gordon initiated the meeting as part of a project to create murals about adverse childhood events and how they contribute to addiction. He uses his University of Alaska Anchorage painting classes to explore social problems, as I have written before. The idea that childhood trauma leads to adult dysfunction feels true. It is a major theme of literature and film. These days, psychologists score childhood events to help predict a life's path. But Eric Garcia said he came from a solid middle-class family. He was never abused or neglected. He respected his adoptive father, an electrician, and felt his mother did her best. He values the Haida heritage he gets from her. He never met his biological father. Pettibone came from a middle-class family, too. He grew up in Phoenix. His father was a lawyer and his mother a special needs teacher and museum docent. They're still together, retired now. I met them last year when Pettibone had an exhibit open at the Anchorage Museum. Both men ran into trouble at about the same time in their lives, in middle school and the start of high school. One made it out, one didn't. Everyone feels mixed up and scared in middle school. You're figuring out who you are. Garcia had those feelings badly. He had moved a lot in elementary school. At 12, he learned of his adoption. "I had an emotional disconnection," he said, "And at that point you can pretty much condone anything." Living in Wasilla he got a job working at an illegal marijuana greenhouse, cleaning up trim. The owner of the greenhouse used to smoke weed with him. He was 14. At school, he began hanging out with stoners and getting in trouble. He was caught with marijuana and suspended. Later, he pulled a fire alarm so he could smoke weed. He was expelled. "I think that was when it really started," Garcia said. His father prescribed hard work to straighten him out, but Garcia snuck out at night. He began stealing for the thrill of it. He robbed the greenhouse, then took a gun from a truck, then broke into a garage and house. 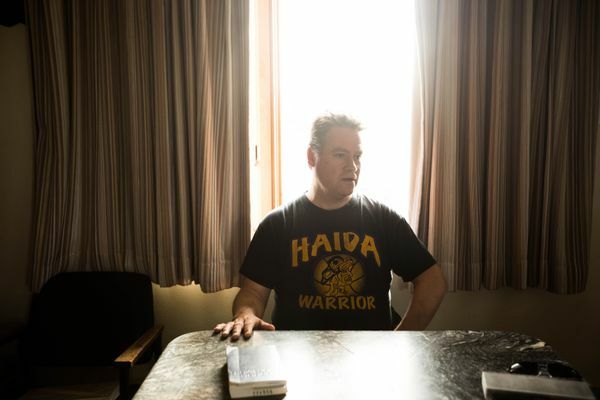 He was imprisoned at McLaughlin Youth Center at 16, but didn't take the therapy seriously. At 18, he received a four-year sentence in adult prison. He survived by acting crazy and dangerous and by learning to bake — he traded baked goods for drugs. The rest of his life story is like many other addicts'. It is complicated, dark, and inexplicable to anyone who hasn't been hooked on drugs. These stories are common. The details are different, but the loss, betrayal and degradation end up sounding a lot the same. At 52, Garia has been clean for seven years. He's a solid leader for other recovering addicts. The heart of his recovery is his spirituality and his vigilance. He constantly repeats the phrases he learned in 12-step programs. Pettibone also had a tough time at the end of middle school and the beginning of high school. But he was lucky—privileged, he says. Pettibone started drinking and smoking pot. He hung around after school with some troubled kids and a homeless street addict they added to their crew, as well as some kids who were just rebelling, as he was. I asked what he was rebelling against. "I honestly don't know, because things were good at home," he said. "Hormones, culture, you start questioning things at that age, and I certainly got sucked into a lifestyle that I found attractive. But there was a struggle, and I honestly don't know where the struggle came from. I think that struggle comes from just being a teenager." But Pettibone never stole and he continued to do his school work. His dad backed him up, saying he just needed to hang on and get through a tough time. Then, halfway through high school, Pettibone discovered art. He began spending his time in the school's art department and adopted an identity as the school's arty kid. He left behind his old group of friends. When he graduated he went on to one of the best art schools in the country. "My mom said to me once that she thinks I would have gone the wrong direction if it had not been for art, if I had not had that at that age," Pettibone said. Some of his old friends did get in legal trouble and disappeared. Garcia discovered spirituality in recovery. 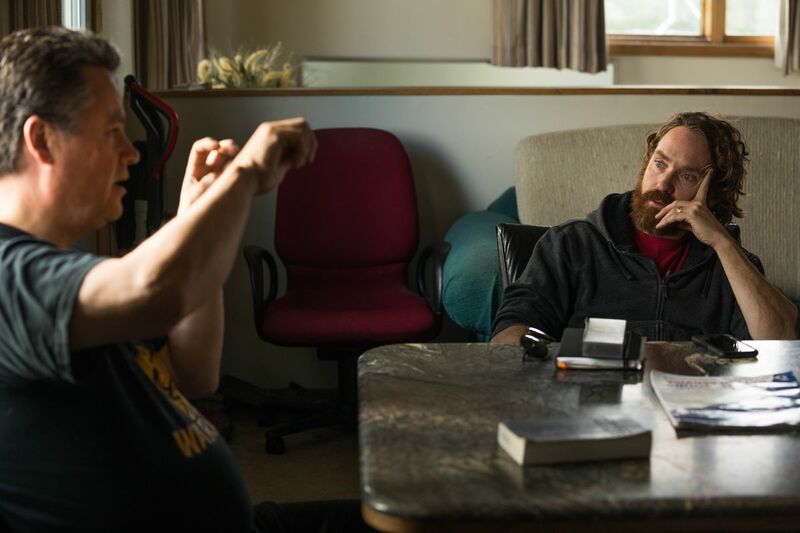 A kind of spirituality led Pettibone through life, too. "That's why I moved to Alaska," he said. "My experience of spirituality lies in nature, and I think art becomes a way to get there." The theory of adverse childhood experiences is a good frame to understand how we produce so many drug addicts. But everyone has experiences that can lead us off track. It's our responsibility to give children armor against those hazards. And the strongest armor is a sense of purpose and belonging and a connection to something larger than ourselves. That's where the solution to the drug crisis begins. Not in a police car, but in a middle school. With an art teacher.